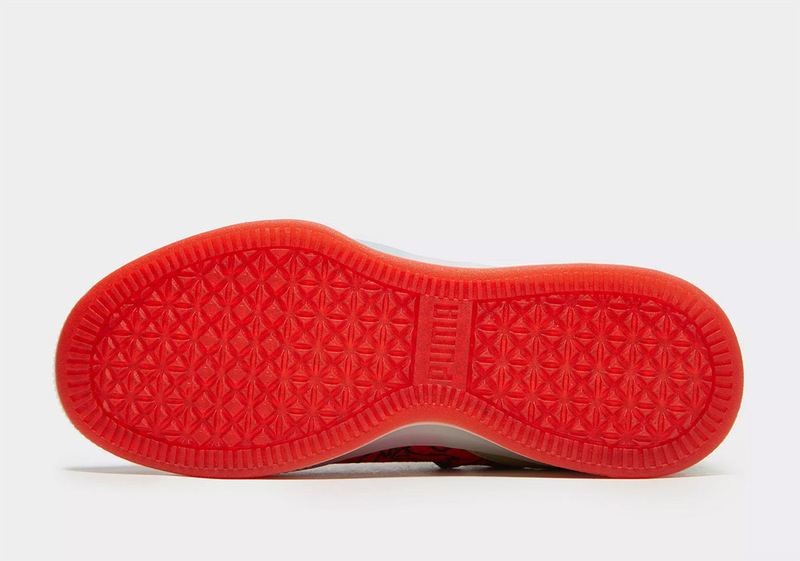 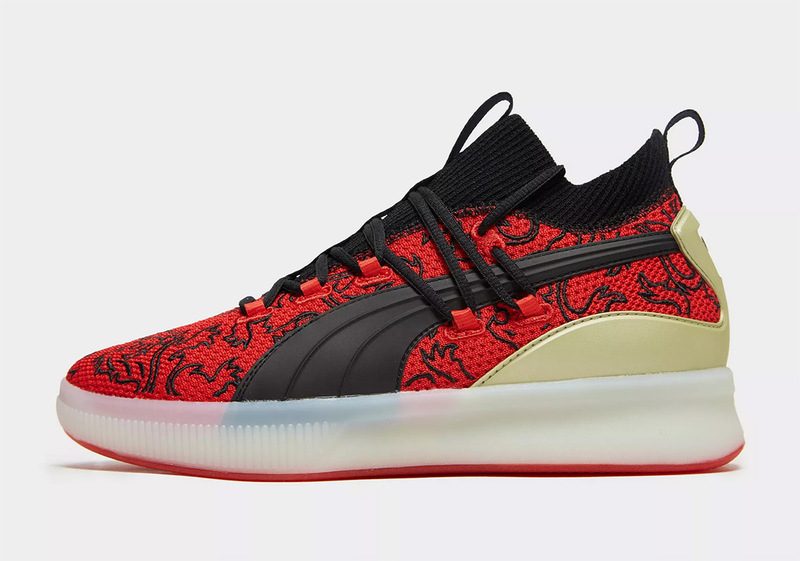 In celebration of the NBA’s London Game between the Washington Wizards and the New York Knicks tonight, Puma is releasing a special colorway of their Clyde Court Disrupt basketball sneaker. 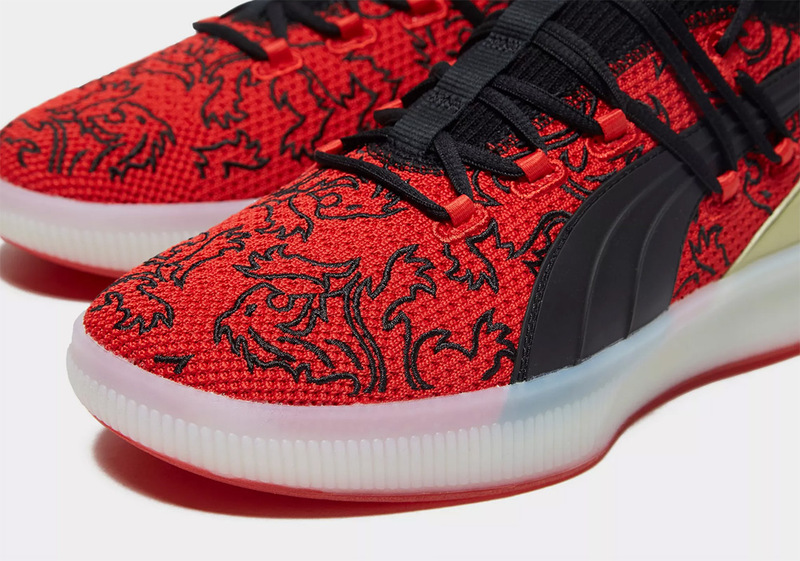 Draped in red, black, and gold, this Clyde Court equips embroidered lion decals all throughout its woven upper to represent the three lions boldly printed on the Royal Arms of England banner. 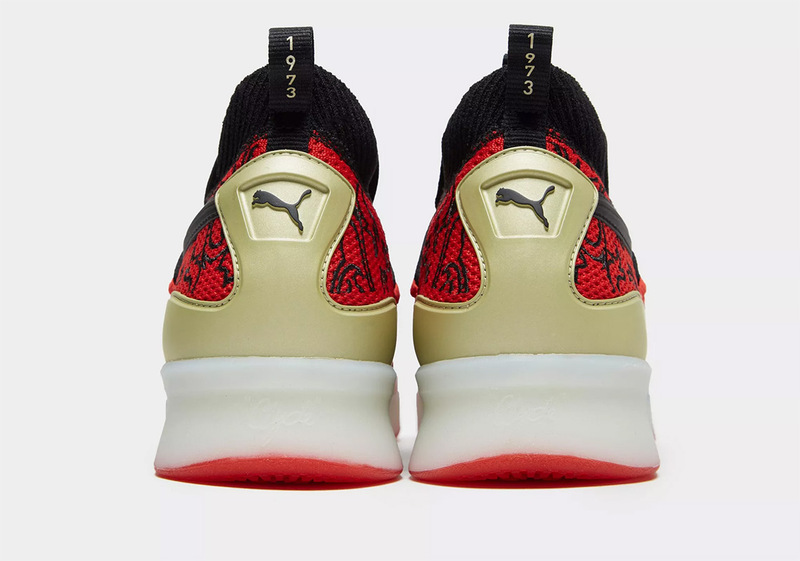 Furthering that nod comes a monarchial golden heel piece that mimics the color of those same predatory beasts. 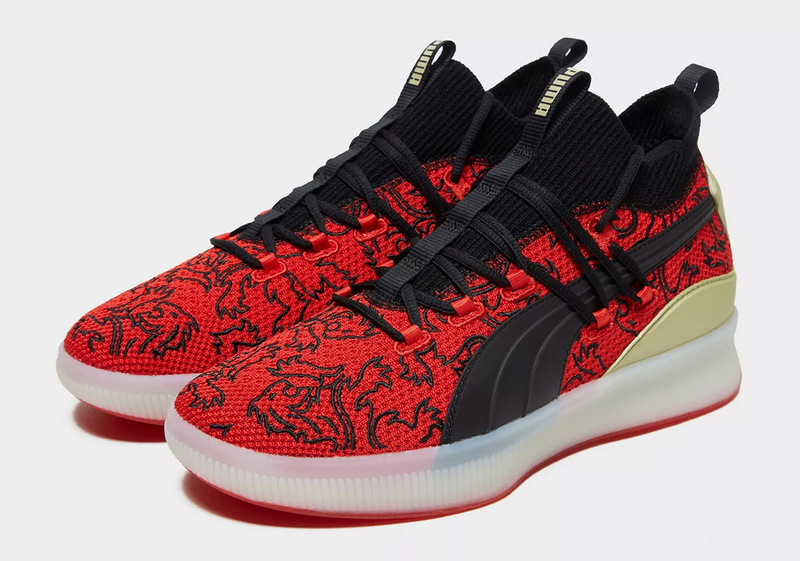 With pairs currently available at JD Sports, grab a detailed look below and tell us if you will be adding one to your hoops-ready lineup.